Thank you one and all for the support! Congratulations to all of the Bridgebuck$ 2018 Winners! 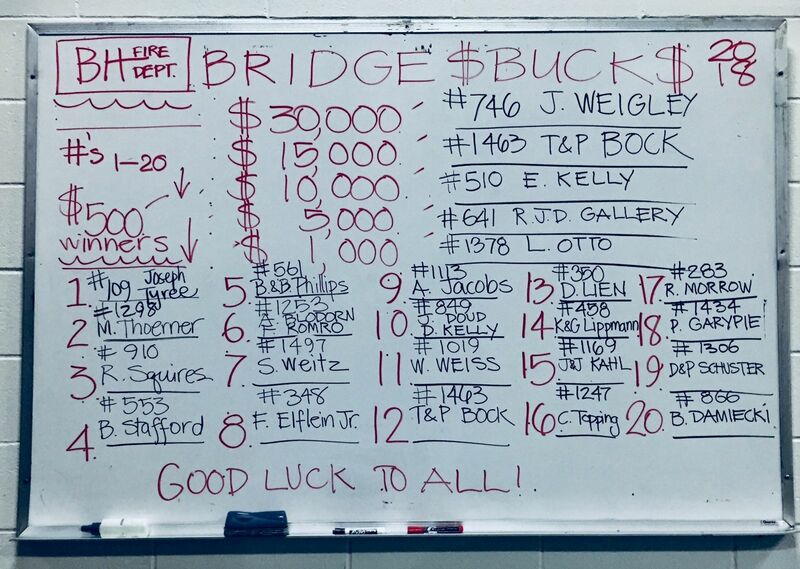 Bridgebuck$ 2019 is set for Saturday, July 27, 2019! Mark your calendar and check back soon for details. We'll look forward to seeing everyone then at Bridgehampton Fire Department's Annual Raffle Prize Drawing and Cocktail Party!